On Sunday 12th August, we came together to celebrate the stories of refugee women. 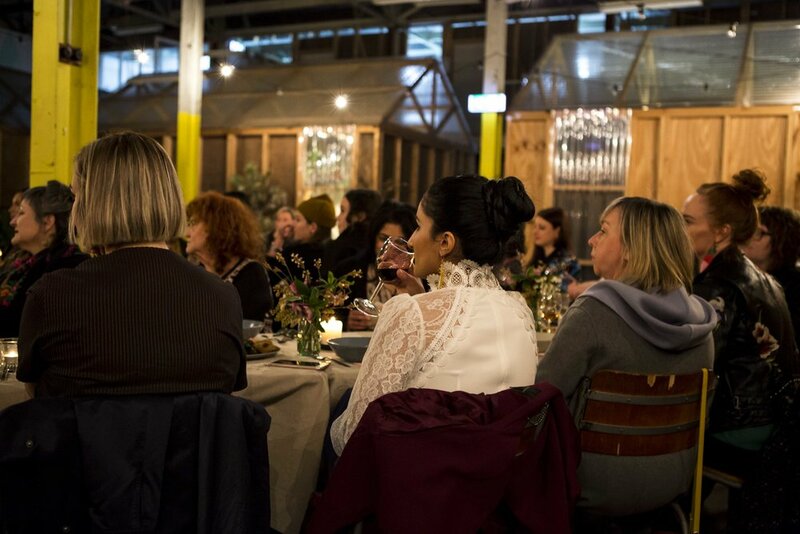 Guests joined us for our second Salon Dinner – a series of dinners designed to foster conversation, connection, community and courage. 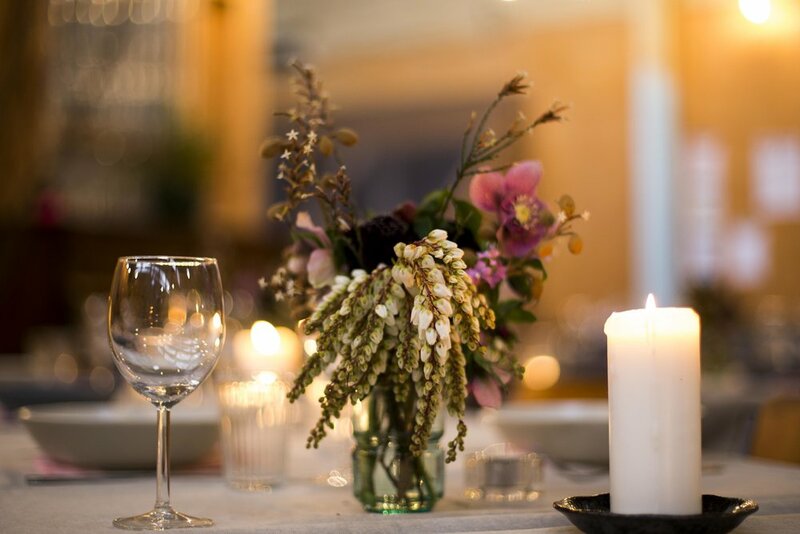 We met at Tiggy Café in Schoolhouse Studios in Collingwood and the open space was filled with candles, lush flowers and a disco ball (or two). We were lucky enough to work with a number of collaborators and partners for the evening. 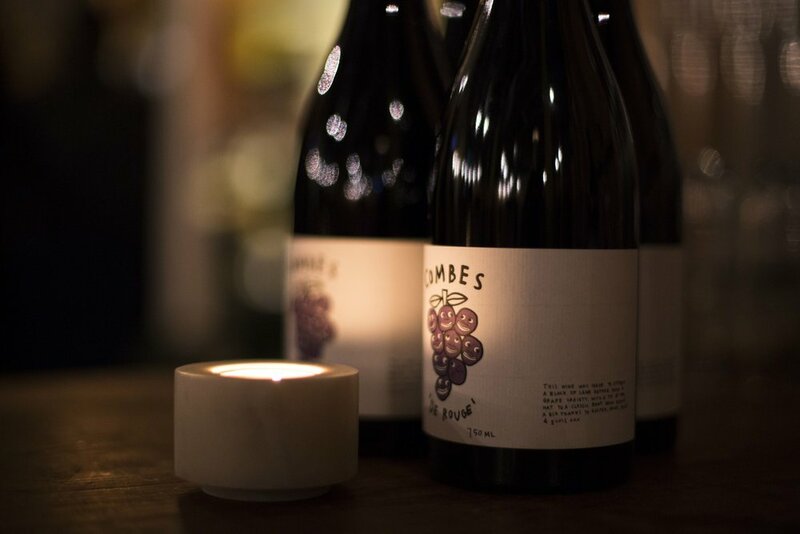 Wine was provided by the delicious Combes Wine, Alice Jones created the gorgeous floral arrangements and photos were captured by Patricia Testoni. The Syrian feast was cooked by the wonderful Nayran Tabiei who is our of our upcoming interviewees sharing her story, and we were luckily joined by Fadak Alfayadh and Akuol Garang – both interviewees from our upcoming episodes also. As guests took their seats, Mariam Issa, author, storyteller, speaker and community-builder, shared her story. Mariam spoke of her experiences as a refugee moving from Somalia to Australia, the way she was treated while making Australia her home, navigating a new life and raising her children and her insights on the power of owning your story and embracing vulnerability. We were honoured to hear Mariam’s story and could have listened to her for hours. 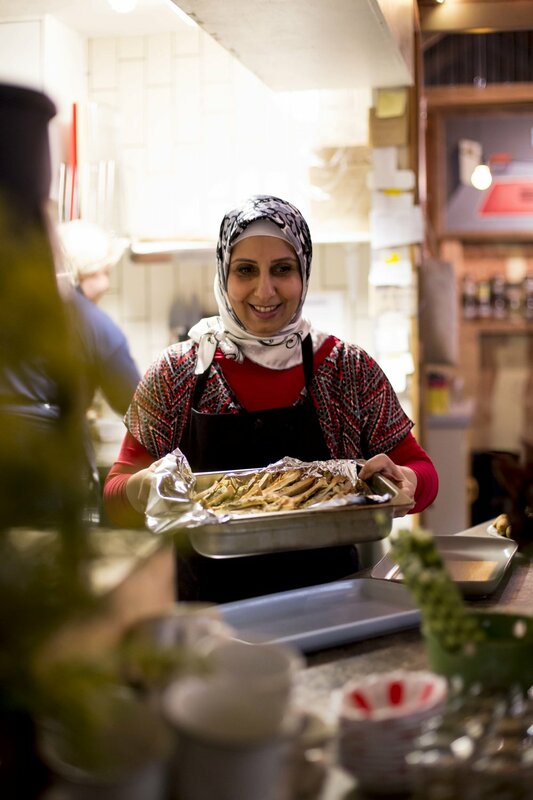 If you haven’t come across Mariam, find out more about her wonderful work here. Thank you to all who attended – we absolutely loved meeting you. These dinners would not be possible without the hard work from many wonderful humans. Thank you Julia – co-owner of Tiggy, Nayran, Mariam, Alice, Patricia and the her words team. We can’t wait for the next one. All photos by Patricia Testoni.